From Plastering to Painting, Plumbing to Electrics – We can keep your Landlords and Tenants happy!  ACE Property Maintenance Services Ltd have huge experience working with Property Managers and Estate Agents for both residential and commercial properties. We understand the process and importance of free quoting and fast invoicing for both you, and the landlord’s convenience. Our team are credible, respectable and experienced of any sized project. Our skills are so diverse, we can manage rental upgrades or renovations, change smoke alarms, paint the interior or exterior of properties, rectify fences and so much more! We take such pride in having ongoing relationships and developing that relationship to take to new heights so you don’t need to go anywhere but ACE Property Maintenance. ACE Property Maintenance Services Ltd really is a one-stop-shop for your maintenance needs. Safeguard your beautiful home with regular maintenance, from gutters to tiling to taps, don’t wait until they break before fixing them. We can keep your home in the finest condition without the need of an emergency repair. Whether it’s inside or out, just give us a call! To achieve the excellent finish in your home, the first place to start with is having smooth walls and ceilings. Whether it’s dry-lining, plastering, plaster boarding or rendering you’re looking for, ACE Property Maintenance plastering services are here to help. It doesn’t matter whether your looking for simply one wall or an entire room, speak to us today as we are more than happy to provide you with a free quote. Our painting services include preparation, professional paint finishing and a complete clean up afterwards. Are you wanting to spend the summer season in your garden but it’s a bit of a forest out there? Speak to us today for our garden maintenance services. From mowing to landscaping, to repairing paths and installing decking, there is no job that we can’t or won’t do. Whether you’re simply modernising your kitchen or bathroom, or giving it an entire remodel, we will be able to help you with your tiling and grouting requirements. We will be able to lay brand new tiles, buff the existing tiles or replace any broken or cracked tiles. Are you looking to restore or change that flooring that’s been bothering you? We have a vast amount of knowledge of all the different types of flooring options. We also can provide you with a full, start to finish service including guidance right through to the clean up after installation. We know that the windows and doors within your home need to add to the style and flair but also need security to protect your family and valuables within your home. As your home ages, it will move and settle which can cause your frames to move slightly. Whenever you’re windows or doors start to stick or if your getting a draught, give us a call. Do you have a slight issue with you’re plumbing? Do you need someone to come and help sort the issue but without a call out fee? Look no further than ACE Property Maintenance Services Ltd, We have you covered. Whether it’s a little task like mounting a TV onto the wall or a full house rewire, we can help you.